Do you prefer shooting a bow from a stand while sitting or standing? Where should I hang my treestands? Should there be any concern about the angle of an arrow’s entry if the stand is 12 feet high? What broadhead should be shot with a lower poundage bow? What size arrow should I use? How to hunt small urban acreage? Do you prefer two or four inch vanes? What’s a good technique to judge yardage? Where did you get you lighted nocks! Can a left-eye dominate person accurately shoot a bow right-handed? Should I practice with broadheads? Will harvesting a doe decrease buck activity in an area? Will deer use trails that I create by removing debris? How can I get over target panic? What can I train to shoot a bow with a heavier draw weight? What’s a good backstop to place behind a 3D archery target? What is the best type of archery practice for deer season? The deer are destroying my landscape. What should I do? Are deer just harder to hunt in late January – from mid Jan., through early February because they go back to their regular nocturnal mode? Deer season is open during late January and early February in only a couple of states. The timing of deer activity during this period is often determined the quality and quantity of food and the weather. If the weather is very cold then deer tend to be very active during daylight hours – especially during the late winter. I aim at the bottom third of the deer’s chest whether they are 20 or 40 yards away. I rarely shoot at deer past 40 yards for fear the deer will move and I rarely worry about deer dropping below the flight of the arrow if they are much closer than 20 yards. There are multiple advantages to aiming at the lower third of a deer’s chest. Wounds here usually produce better blood trails because the chest cavity doesn’t have to fill with blood before it starts exiting the wound. I practice aiming at the bottom third so it’s a normal sight pattern when I’m hunting! What is your scent control regiment for deer hunting? Thanks for the question! 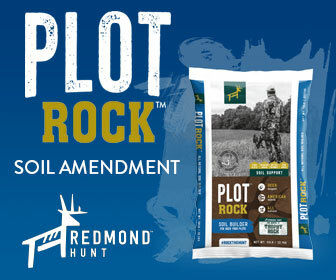 We take our scent control seriously as we know that it plays a huge role in our success while in the field. This process takes time, but the time it takes to do so is often rewarded. Below is our process that we go through during each season to ensure we stay successful! Wash ALL hunting garments in a scent eliminating detergent (in a separate washer if possible). Dead Down Wind is enzyme based and provides more scent reduction compared to products that rely on harsh bactericides. Hang clothing outside to air dry in an area free of non-natural odors. Store clothing in a scent free, air tight environment. Get dressed in hunting gear out in the field and then remove hunting clothing before getting into the vehicle or going inside. Shower with scent eliminating soap before each hunt. Wear boots that are only used for hunting and have been cleaned with Dead Down Wind products and stored in a separate air-tight container from clothes. Spray down with Dead Down Wind’s field spray when entering the field, especially the bottom of boots. It’s critical to realize that using a field spray alone won’t reduce scent near as well as using the entire system described above. I hope this helps you stay successful in the coming hunting seasons! I have been hunting with my bow for sometime now and I would like some tip on getting my arrow grouping on my target just a little bit closer. Could i have some tips please and thank you. Great question! Having a great grouping during practice will allow you to gain confidence before going afield. Here are some great clips and videos full of tips to help get you that smaller grouping you are looking for! These videos will show you our routines that we use to get ready for bow season! I hunt from a hang on and a 22′ ladder stand with a compound bow. Do you prefer sitting or standing when shooting from these types stands? ( I practice both). I prefer shooting from a standing position. This allows me to adjust to the left or right should the deer move before or after I draw. It also allows for more sting clearance. I was wondering if you could give me some stand location tips based off an Aerial image? I see a lot of deer tracks in the area, but I haven’t seen any deer and Archery opened up on September 19th here in Minnesota. Pre season scouting, I thought I would end up in an amazing area, but it’s turning into more of a squirrel watching trip than deer hunting. The red line is the piece of land. 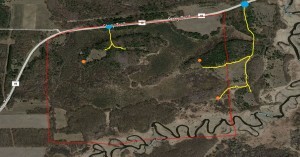 The yellow lines are cleared ATV trails. The blue circles are where I can park, and the orange circles are where I have put stands. The western orange circle has only had a stand there once the other ones I have visited more frequently. Depending on how wet/dry it is at the time I am able to walk fairly close to the river (within about 30 yards of the bank) without sinking too bad. The shorter trail more to the west of the property is on a ridge, if you look at it on google earth you will see quite a difference in elevation. There are also a couple of corn fields in the south western portion in the property. Corn is also available north west of the property on the other side of the road. Thank you for any advice you can give me, this year has been the absolute definition of Murphy’s Law and I’m starting to go crazy. 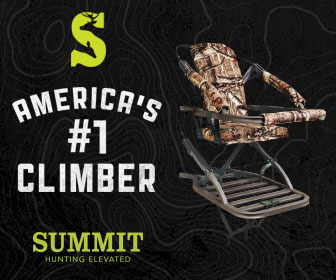 For more information, I have a Summit climbing stand and 3 climbing sticks with a hang on stand. The property is just east of Stacy, MN if you want to look at it on google earth. Thanks for posting your question, this will allow other folks to look through the question and response and learn from it! This looks like a great piece of property, right off the bat, I can tell that there is no shortage of bedding cover. You have some great access points to enter your stands quietly as well. There are certainly many places where deer can bed and escape danger, so intercepting deer can be tough as they travel the majority of there way to feeding areas in thick brush. With that being said, there are still a few locations on your map that would bottleneck or pinch deer down. As we approach the rut, having stands in these locations will be critical to catching bucks on their feet in daylight hours. I have three locations that come to mind. In the Southwest corner of the property, there are two wooded lots, appear to be larger timber separated by a smaller opening. I would have stand in the opening. Perhaps on the eastern side to hunt with a west wind. If there is corn on that section of the farm, deer will likely use this opening as they travel to and from bedding accessing the food source. Deer will take the least path of resistance and it appears to be one of them. This would be an evening set, if you accessed from the southwest border hunting with a northwest wind, if you took the long way around from the northeast corner, then you would be able to hunt this spot in the morning, you would not be spooking deer from the corn fields. Another location that I would be interested in scouting out would be the pinch to the east of the set mentioned above, where the creek and timber nearly touch. Deer are creatures of the edge and will walk that southern timber line and becoming pinched very tightly to the timber due to the creek. I would check first for track and sign, but this could be a good location hunting a natural pinch. The last stand that I would sincerely inspect would be the small wood lot in the dead center of the property. This stand would only be able to be hunted at the peak of the chase/seek phase, just based on access into the location. This wood lot among very thick timber will give deer a slight reprieve from the thick cover. I would imagine this would be a very good stand when the chase or seeking phase is in full swing. It is a gamble with the wind because deer could come from every direction, but from whichever direction you access from, I would blow my wind there. Typically I would not hunt a stand like this, but if conditions are right, it is worth the gamble to get in tight to bedding where does can seek refuge from being chased. With you stand being in close proximity to this thick cover its an all or nothing type hunt. I hope this helps you harvest some deer this season. Patterns will change as season progresses, but most importantly, when you hunt you need to enter, hunt, and exit the woods without spooking deer, keep the wind in your favor. I don’t have any concern about the arrow’s angle through a deer from a stand that’s 12′ tall unless the deer is only a few yards from the stand. I always draw an imaginary line through the deer and consider if the arrow’s path will go through both sides of the vitals. If the deer is only a yard or two from the tree the arrow has to enter high to insure it exits within the vitals on the deer’s far side. Huge fan of your videos! 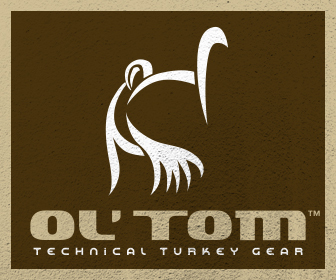 You and I share a passion, not only for hunting, but for the year long process of management & conservation. I have just recently purchased a new bow. Is there a general rule or exception regarding arrow and broadhead weight? – Do you think i will be ok with 400grain arrows & 100 grain broadheads? Thank you for watching http://www.GrowingDeer.tv and for sharing the kind words! I also have a 29″ draw and my bow is set at 62 pounds. I shoot the Impact Hunter arrow from Bloodsport and the Havoc broadhead from G5. I’ve been very pleased with this combination. I like my arrow to extend an 1″ past the arrow rest on my bow. The exact length will depend in which rest, etc. 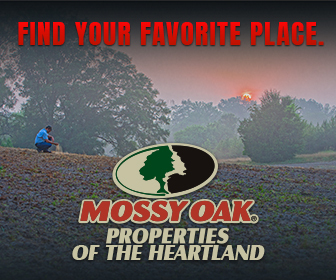 What are your suggestions for hunting in tiny acreages or urban areas. I have permission to hunt on someone’s partially wooded lot that is 400 feet wide. Yes, 400 feet. I know it is a well traveled deer highway and I have trail camera pictures of multiple deer at different times of day and night. This is a bow hunt only situation. Thanks in advance!! 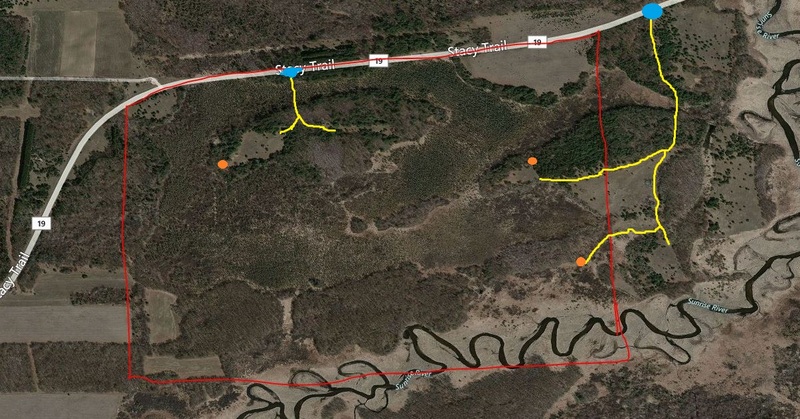 It appears you have done the necessary homework in scouting this trail that cuts through the property you have been granted permission to hunt. My largest suggestion would be to contact the neighbors to this property. Let them know that you will be on the property next door bow hunting. This will notify them of your presence so they will not be alarmed if they see you in the tree, avoiding any potential conflicts. Also be sure to gather their contact information in case you need to retrieve game from their property. In addition, be sure hunt with the wind in your favor blowing your scent in the direction opposite from the way the deer will be traveling to your location. 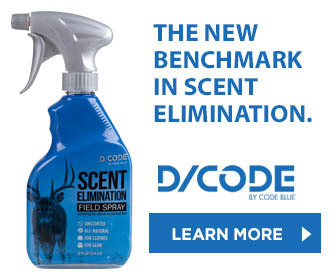 We use products to help control our scent in addition to hunting the favorable winds. I have many questions for you. 1. Recently bought 100 acres of redline forest in Wisconsin. There is some mix of hardwoods. Also cows were allowed to pasture in this area for the past few years. There is room for a few food plots which we put in this summer. Are seeing a number of does and a few bucks. Where can I look to help improve this type of forest/property? 2. I see you use fixed broadheads and 2 inch vanes. Just would like input on fixed/expandable and 2 inch vs 4 inch vanes. Does the draw weight matter in this discussion? 3. Do you think this buck should be harvested because of its right beam? Not sure what happened to it. I do see a number of younger bucks with significantly unequal tines – 2 inch on 1 side, 6 inches on the other for example. I am not sure what is meant by “redline forest.” I Googled that term and didn’t find any definition. I don’t know enough about the current condition of the forest to offer any suggestions. I shoot http://www.BloodSportArchery.com arrows and have for years. I shoot the Impact arrow (very small diameter) with 2″ vanes. I tagged several deer with the Havoc (mechanical head from G5) last year and was very impressed with the results. It’s the first mechanical head I’ve tried that I liked. In fact, I liked it so much I’m using it to elk hunt this year! I wouldn’t tag the buck because of his current antler traits. I’d only tag him if he’s old enough to meet your harvest goals. I’ve seen several bucks with similar antlers blossom into truly nice deer the following year. hello Grant. 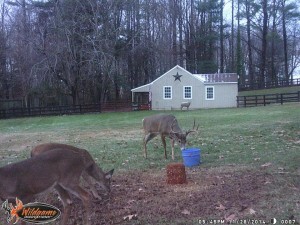 Love everything about Growing Deer TV! The thing I love the most is that yall are spreading the gospel of Christ through it! My question is this; I don’t have a range finder, and have never harvested a deer with my bow from a tree. What are some good techniques to judge the distance, and what sight pin I should shoot if I’m 20 ft in a tree? Thank you for watching GrowingDeer and for sharing the kind words! Each individual has different skills at estimating yardage. I suspect that experience is the best “technique.” Before I had a range finder I was constantly estimating yardage while I worked, etc., I’d estimate the yardage to an object and then step it off. Even with lots of practice it’s easy to be off a few yards and that can be enough to be the difference between bringing venison home or eating tag soup. I suggest you step off distance from the stand to known points. For example, if you are comfortable shooting 30 yards, then use tree, rock, etc., to mark 20 and 30 yards from the stand. Having the known distances will reduce the error when estimating a deer that’s at 25 + – yards. I use the same sight pin for each distance as I do when practicing from the ground. The biggest difference between shooting from and elevated position and from the ground is the need to bend at the waste when shooting from an elevated position. 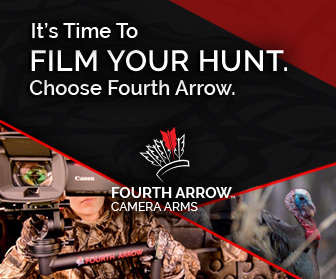 If you simply drop you bow arm, it changes the relationship between your grip, sight, and eye. Bend at the waist and keep everything in the same relationship as you did while shooting from the ground and your shot will be true! The only time it would be necessary to change sight location for the same yardage is if you are shooting at an extreme incline. This is rarely the case with most shot opportunities from a tree stand. I have watched all of your shows, and love them keep up the good work. i was wondering if you bought your lighted nocks on Blodsport Arrows website, because i shoot the Bloodsport Impact Hunter. Thank you for watching GrowingDeer! Yes – I ordered my Impact arrows from BloodSport with lighted nocks. Thier website has changed since I ordered, but I assume they still offer lighted nocks! Interested in learning how to bow hunt but I am right handed and left eye dominant. Most professionals that I ask recommend learning to shoot left handed because I am a new shooter, is it impossible or unethical to try shooting a bow right handed, or is there a good way to train your ocular dominance? I’ve known a few folks that were left-eye dominate that could accurately shoot a bow right-handed. However, they are in the minority. You’ll certainly have to close your left eye completely. Most folks are much better off to learn to shoot left-handed. It feels awkward at first, but many have succeeded! Whatever technique you use, make sure and practice and limit your shots to a distance that you are proficient! Do u practice with your broadheads or just field tips? I tune my bow and sight-in using field points. I always shoot with broadheads each year before season to insure they have the same impact point as arrows with field tips. First off, I love your episodes. I started hunting last year and shot my first buck mid November with a rifle. The area I hunt up here in Maine is posted and I am the only hunter allowed to hunt there. Each time I was in there last fall I saw the same doe. She is also on my game camera every day lately along with seven or eight other deer (only one decent looking buck). This year I will be bow hunting for the first time and planned on hunting that same location with a bow. My question is, if I am able to harvest that doe during bow season in October, will it spoil the location for my son and I during rifle season or will bucks still come through the area? Thank you for the kind words and for watching GrowingDeer! Congratulations on tagging a buck last year and having a good place to hunt! I had a research project that lasted 11 years in South Carolina. As part of that work we harvested five does for every buck. About 25% of the mature bucks I harvested were taken during the same hunt (often with the same hour) and from the same stand where I had taken a doe. Deer don’t seem to associate the observation or smell of a dead deer with fear like humans might if they found a corpse. Deer can be alerted by the scent of humans and the activity of retrieving a doe, etc., will likely alert deer for a bit, but not the harvesting doe. If there are more deer than quality forage where you hunt, I encourage you to enjoy the bounty and tag a doe and share the organic meat with your family and friends! I hope to tag several does this fall! Hi Mr. Woods, thanks for the good info!! I broadcasted my Broadside just after a rainstorm (and at the start of a second round) and I was surprised to see how good it worked. I got soaked but it’s worth it when I have deer in my plot when the snow hits!! My question to you is, I hunt small acreage and I’m surrounded by other hunters. Do you think I could manipulate trails in the woods by making trails and blocking others off? Basically cutting small trees to build up sides of a trail, blowing out leaves and debris creating small pinch points and cut throughs in my favor. Would it be worth it or should I let deer naturally come through with other hunters pushing them? Deer will often use trails created by removing debris, etc. This is a technique I use to encourage deer to travel within range of stands. This works especially well in thick areas. Likewise trails can be blocked but deer often just go around the block and don’t abandon the trail. I’ve been shooting a bow for a couple years now, and developed what people tell me as target panic; where I can’t hold my pin on target. Do you know how I can treat this? I’m told every bow hunter deals with this at one time or another. I’ve experienced a few bouts of target panic. A good friend of mine taught me an easy (but not quick) cure for target panic. I’m very confident his cure will work for you if the steps are followed. 1. Stop shooting at dots, X’s, etc. Stop now! 3. Use the blind bale technique daily if you can. You can use this technique almost anywhere if you have a quality target and use the appropriate safety precautions. 4. ONLY shoot using the blind bale technique for a minimum of 2 weeks! Don’t shoot using normal practice techniques to see if the target panic is cured. 5. After a very minimum of two weeks start each practice session by shooting at least 10 shots blind bale. Don’t get lazy and simply start shooting targets. 6. When you shoot at a target, DON’T SHOOT AT A DOT, X, ETC.!!!! Shoot at a 9″ pie plate, 3D target that doesn’t have dots or circles, etc. Start at 5 yards. Remember – being accurate at archery is all about good form. Having great from at 5 yards equates to good shots at much longer distances! The only tough part about curing target panic is being discipline enough to stick to the above program and don’t cheat or take shortcuts. You must retrain your brain and muscles to a good technique. This is used by pro athletes, law enforcement, etc. I’ve had several bouts of target panic. I’d miss 2′ targets at 10 yards and shake like sapling in a wind storm. I stuck with the above program and continue it today. I start almost every practice session with blind bale and I’m a very confident shooter now! Let me know how you are progressing! Stick to this program! I am a 13 year old beggining bow hunter, and I was wondering if you have any exercise you could give me to get stronger so that I can to pull my bow back with out as much effort, because right now I’m having trouble keeping my bow steady before I shoot. I’m glad you are a fellow bowhunter! I’m not a fitness expert. I’ve read and believe that the best training for shooting a bow is to shoot a bow. Shooting exercises the exact muscles used for this activity. I suggest you back off the weight of your bow so you can shoot it comfortably. This will allow you to shoot more accurately than while straining. Shooting a bow that is set to heavy will cause you to develop an improper shooting form. By shooting an appropriate weight bow you will be more accurate and accuracy is way more important than arrow speed. As you practice you’ll gain strength through repetition! Practicing should be fun and rewarding and this will happen if you shoot with a bow that’s the right weight and draw length. Not s tough question. I have been looking for a solid solution to bow practice where I am able to retrieve arrows without damage or difficulty. I noticed you have a large white square backstop behind your 3d deer target. Can you provide me with a little information on the backstop to include what your thoughts are on it with broad heads or target tips? What it is made out of? Possible distributors? Thank you for your advice and help. Wishing you all a very successful hunting season this year! Thank you for all the videos and educational material you have provide not only me but those whom I have shared your site. The large “white square” is a product from a company that is no longer in business. It is only to be used with field tips. I often use large round bales of hay as a backstop behind 3D targets. These are inexpensive work work great! They will decompose over time and need to be replaced. Thank you for watching http://www.GrowingDeer.tv and for sharing the link with your friends! Hey Grant, thanks for all the helpful advise you share in your videos. I am a new bow hunter and I was wondering how you practice to get ready for deer season? My neighborhood is overpopulated with deer. We live in Cape Girardeau, Missouri. On some afternoons there are 25 deer in my front yard. Are there any special interest groups that might come and capture the deer to relocate them? They can be very destructive. They eat all our plants and flowers, tear up the yard while jumping around and have worn trails in our yard. Shooting the deer is not well received in our community. What would you advise? Unfortunately there are gads of neighborhoods throughout the whitetails’ range that are overpopulated. Residents go from liking to see an occasional deer to some of the residents hating deer. It is sad when deer are left unmanaged and then become hated. They are beautiful creatures and deserve respect and to be appropriately managed. I’m not aware of any group that will move deer. Deer are owned by the state (unless part of a captive herd) and can only be moved, harvested, etc., by special permit issued by the governing state agency. Problems similar to yours have been faced for years and the only solution to date is to harvest the excess deer. There are several major metropolitan areas that accomplish this by hosting archery only hunts. These hunts are strongly regulated, and often the hunters must qualify by taking a safety and proficiency test. If you and your neighbors wish to address the problem I’m very confident this is the only route. You may wish to contact the regional Missouri Department of Conservation office and seek addition counsel since this would be a state/local jurisdiction sanctioned event. Whatever you do, don’t allow the neighborhood to lose respect for a beautiful part of God’s creation. The deer are not at fault. My dad and I are managing a 100 acre plot of land that is bordered by a creek on two sides and a small river at one end. The area is heavily pressured by dogs, as all the hunters in the area are running them. My dad and I restrict hunting to only stand and still hunting on our property, but the occasional group of dogs runs across our property from time to time. I am getting into bowhunting heavily as well. The land consists of 20 acres of cleared land and a mix of thick pines, underbrush and hardwoods in distinct separations. We have not seen anything from our stands, which are all located in the hardwoods, but we find tracks on a regular basis all throughout the pines. They are too thick to hunt from the ground. There are minimal distances you can see if we set up a stand there. Do you have any suggestions for hunting the deer in the pines or pulling them out of their cover? Hunting thick pines can be tough! However there are some techniques that can help. Deer will seek the easiest path of travel if they feel secure. I’ve cut paths through thick cover with some openings or shooting lanes, especially for bowhunting. I’m not describing cutting down large trees, but clearing the brush and vines between and below some of the trees. Then, hang or place a ground blind with the predominant wind in your favor and create a path for you to approach/leave the stand. Don’t hunt this stand if the wind is not in your favor. Deer usually don’t tolerate much disturbance in their sanctuary. Also, always stalk your stand as deer will also adapt to using the lane created to approach your stand. If possible, I’d establish this setup on several sides of the pine thicket so you and your father can hunt with any wind direction. What kind of broadheads do you like to use? I shoot Muzzy MX-4’s but I have been thinking about buying some Rage broadheads, but for twice the price I am not sure if they are worth it. What do you think? I’ve been using the RedHead BlackOut Broadheads this year and am extremely pleased with the results. I’ve shot two mature bucks, one doe, a coyote, and some small game. The bucks had short, paintbrush blood trails. I was a tad high on the doe (GDTV 45) and actually shot completely through her spine!! I’ve never had a broadhead perform like that. Usually, broadheads deflect above or below the spine, but the RedHead BlackOut broadhead is extremely sharp and tough. I also like that that broadhead flies exactly like my field points at 50 yards. I’m a huge believer in practicing with Broadheads, but I’ve found that is not necessary with the Blackouts with my setup. Finally, they are a great value – they are less expensive than comparable quality heads. What type of broadhead do you use? I noticed it made a large entry hole. I’ve shot two mature bucks with a RedHead Blackout broadhead this year and had total penetration and an easy blood trail to follow! This head groups exactly with my field points. I’ve been totally pleased with this broadhead. My bow has draw length from 17-30 and its draw weight is from 16-52. Can you estimate on which draw length I should put it if I want 35 draw weight? I’m assuming your bow is a compound. If that’s a correct assumption, then the drawn length should be set to ensure it fits your stance and comfort level. Setting the draw length should be independent of the bow’s draw weight. Next, the bow’s draw weight should be set at a level that you can shoot comfortably, without straining during longer practice sessions. If you plan to hunt with this bow, it’s critical the weight is set so you can smoothly draw the bow after you’ve remained cold and still for extended periods of time. 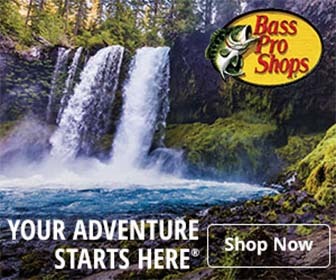 Going to a local bow shop or getting with a friend that has the proper tools for setting up a bow (bow press, level, scale, range, etc.) 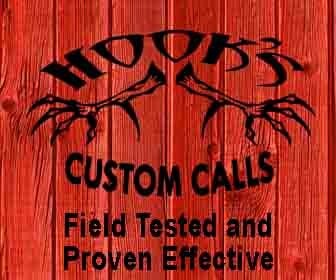 is a great way to get a bow set up correctly. I noticed in your last video that your arrows have staggered fletching!?!? I have seen this only one other time before, but didn’t ask about it. What is its purpose and how does it affect your arrow flight? You are very observant! The staggered fletch pattern was designed to provide a bit more accuracy at longer distances. I frequently practice shooting at 60 yards and can’t tell any difference between my group size when shooting staggered fletch compared to regular fletch. My practice partners claim the staggered fletch is a bit louder while in flight. I have noticed the staggered fletch drifts more when shot in a crosswind than arrows with normal fletch — about 5″ more at 60 yards with my setup. I will return to using a normal fletch pattern next year.